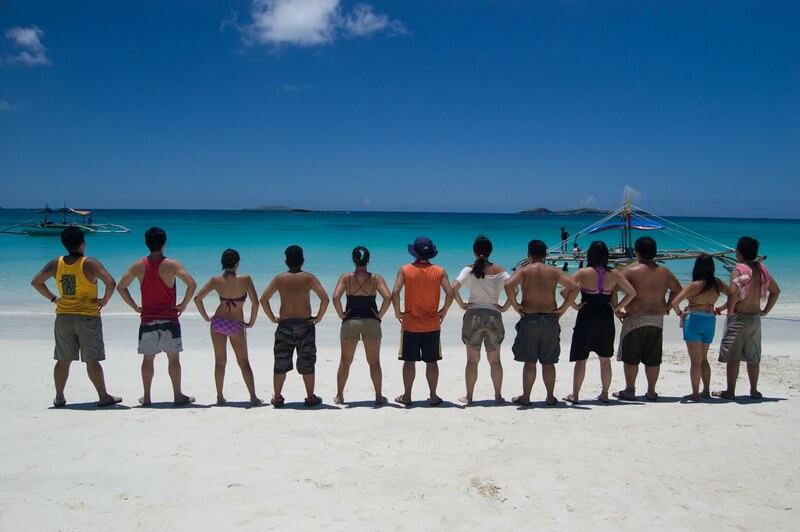 Last year, I spent Lent in Calaguas, and this year, I am definitely going back. I can't remember what convinced me to join last year, but am glad I went with the Outdoor Addicts, with my friends from SABIT Mountaineering Club. Coming from a conservative Catholic Family, it was my first time to be out on a Holy Week. 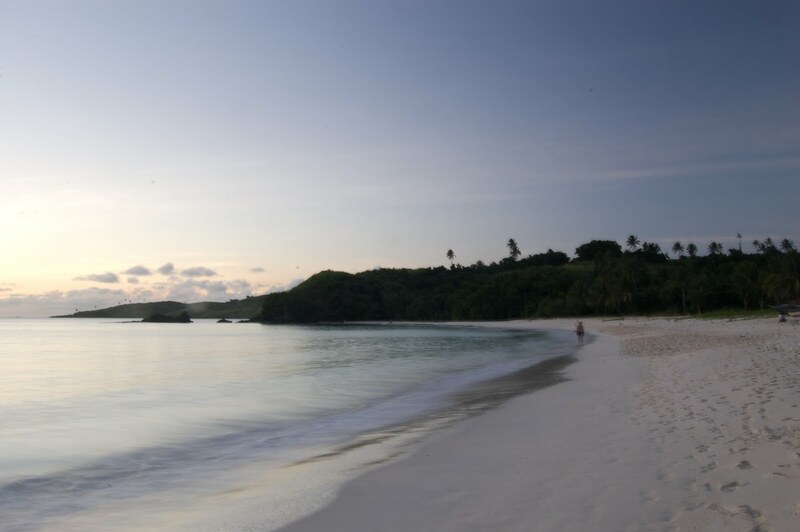 Calaguas Island is actually a group of islands in Camarines Norte. It includes Tinaga Island, Guintinua Island, Maculabo Islands and other islets. 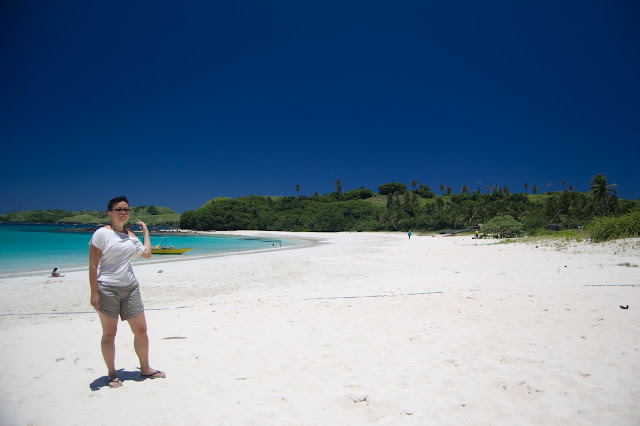 The beach where we usually go to is called Mahabang Buhangin and is in the island of Tinaga. 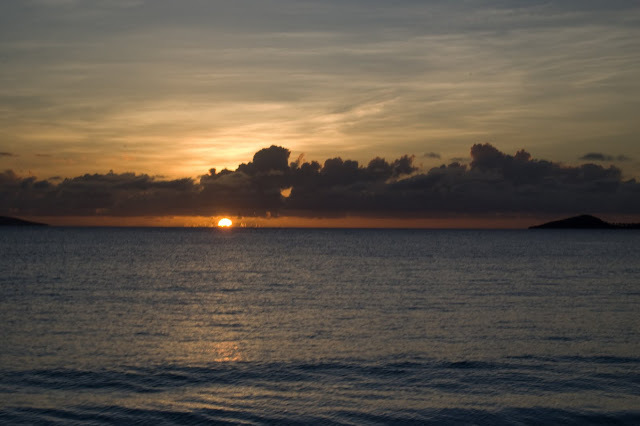 Camarines Norte is about 8 hours land travel from Manila. From Vinzons, Camarines Norte, Mahabang Buhangin, it is about 2 and a half hours boat ride to Mahabang Buhangin. From Paracale, it takes less than 2 hours. I will not be tempted to say that is is the Boracay of Camarines Norte, like how hundred other beaches in the country are branded. The powdery sand of Mahabang Buhangin got a pinkish tone, which places this a notch higher in my list. This is all sheltered in a lush cove, azure waters and cerulean sky. There are no resorts in Mahabang Buhangin so the adventurous self must kick in. Well, not totally, because there is a comfort room. I heard that there are also cottages now, but I'll find that out for myself next week. There is also no electricity. The caretaker of the island has a generator, which he uses to pump water. He also allows guests to charge their cellphones there. I remember there is only Smart signal there, btw. We spent three days two night there, downing lambanog (liquor) made from sasa, playing frisbee, trying to be human espasol, perfecting our jump shots, riding a boat, swimming and eating. And about sunsets ... yes! Calaguas sunsets are perfect to cap a great day spent with friends. To get there, there's a bus to Daet in Cubao and boats available in Paracale and Vinzons. There are no established rates though, so haggle. But, it is much easier to gather in a group or join organized trips, and a lot post their invites in social networking sites like Multiply or Facebook. The usual rate is Php 3,500.00 per person, including transportation, meals, camp fee and tent rentals. Our tour is being organized by Mike Abanes of Outdoor Addicts (0917-8146453) and Jon Paolo Sobrecaray (0917-6303927). There's also a daily trip to the Brgy. Banocboc, then just rent a boat from there to take you to Mahabang Buhangin. There might also be boats available at Bagasbas Beach, another popular surfing destination in the country. Since there are no resorts there, bring everything ... your bed (sleeping bag, tent or hammock, earth pad), your food (stove, cookset, ingredients), water and everything else you will need the entire duration of your stay. Thanks for visiting the blog. You might have updates. Please post here.